You know what they say, “if you love what you do, you’ll never work a day in your life.” We feel the same way about living and working in the Western White Mountains. If you live where you play, then you’ll never want to leave! There are many different jobs in the area, below are a few in the area. We’ll post job opportunities as we hear about them. Business owners- Looking to fill an open position? Email us to add your job here. The Technical Director supervises all aspects of the Scene Shop and its staff, and is responsible for the engineering, construction, installation, and striking of each set over the course of the summer. The TD must be able to read Design plans, order materials for building, work within the limitations of the budget by re-purposing existing materials as much as possible, maintain a safe working environment, and lead all construction aspects, including carpentry, rigging, welding, and other fabrication techniques. Candidates should be strong at time management, as sets must be built for each show in roughly 10-15 days, as well as strong communicators who can collaborate with guest Scenic Designers, Directors, Production Stage Manager, as well as Scene Shop Staff (including paints and props). Lifting items up to 50 lbs, climbing ladders, and working with construction tools are day to day activity in this position. Candidates must have a valid driver’s license. Purple Tomato Full & Part Time Sandwich Makers Sandwich makers are the engine of our prepared foods business. You must work well with others and be able to work in a demanding environment where food safety, quality and courtesy towards other employees and guests are paramount. We are looking for motivated individuals who believe it’s important to support local farms and small businesses. So many of our ingredients are sourced locally for everything coming out of our kitchen including our sandwiches. We want people who want to work in a rewarding, fun environment and who want to be part of a business that believes it’s important to serve its customers the best food possible with a smile & a thank you. RiverWalk Resort at Loon Mountain Front Office Manager Apply your outgoing personality and ability to train and connect with others to create extraordinary guest experiences one day at a time! As a Front Office Manager, you will be the first impression for our guests upon arrival and throughout their stay, you will lead by example and champion the guest services team to build lasting impressions and guest loyalty. Requirements: To be successful in this role, you need strong verbal and written communication skills. . Two years of customer service experience at a managerial level is required. Applicants must be available to work a flexible schedule including some weekend and holiday coverage. This is a full time position. The Notch Hostel Reception/Office Assistant Reception/Office assistance: Miscellaneous office projects, including organization, filing, shipping, printers, data entry, software and device support, newsletter preparation, and website edits. Welcome guests when they arrive, process payments, provide hostel tours for new guests. Answer calls and respond to texts from guests and assist them in making reservations. Answer questions about cancellation policies, dog reservations, trailhead shuttles, pricing, and other hostel policies/services.Daily light cleaning, laundry and occasional deep cleaning projects.  Russel Park Campground Campground Host Russell Pond Campground in North Woodstock, New Hampshire is currently hiring a workamper couple for the 2019 season, starting in mid-May and working through mid-October. This campground host position requires campsite and restroom cleaning, grounds maintenance, security and customer service. We are on a mountain, so being able to walk up and down stairs is necessary. Also need to be able to lift and carry buckets of ashes and wood. Work schedule and pay to be discussed with potential applicants. Full 50 amp hookup with septic. If you are reliable and personable please CLICK HERE to submit an online application or download our Job Application and forward it, with a resume and job references to [email protected]. Common Man Restaurant Wait staff Visit our website to apply. McDonald’s All positions Stop in our restaurant on Main Street in Lincoln or visit our website to apply.